Scranton has one of the highest rates of aging in the U.S, and some within the city’s growing ranks of senior citizens are not feeling optimistic about the upcoming presidential election. According to the 2010 national census about 16.4 percent of Scranton’s population was over 65, with the rate for Lackawanna County at 19.1 percent. Both numbers are significantly higher than the U.S. average of 13 percent. But the two major issues Scranton’s senior citizens are most concerned about are not being addressed in the 2016 presidential election: the increase of property tax and stagnant Social Security benefits. Weber is an active member of the West Side Active Older Adult Community Center. He was born and raised in Scranton and has devoted all his career to the city. 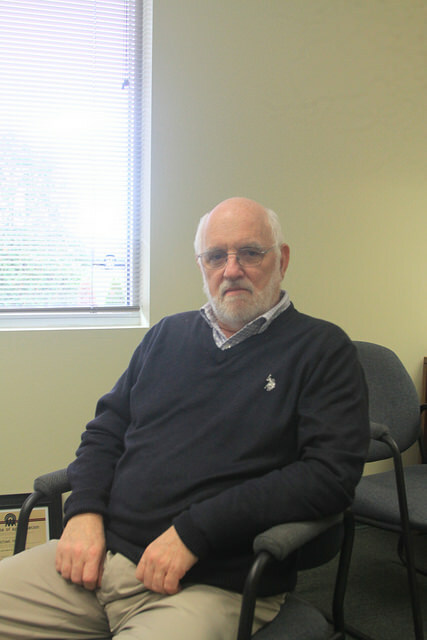 Before he retired, he worked at the purchasing department of Chamberlain Manufacturing, a munitions plant which was bought over in 2006 and has undergone repeated rounds of layoffs since 2014. A common complaint among Scranton’s seniors were high property taxes. According to Tax-rates.org, the median property tax in Lackawanna County is $1,954 per year for a home with a median value of $137,100 in 2016. The County imposes on average 1.43 percent of a property’s evaluated market value as property tax, one of the highest in the country. The average annual property tax paid by Lackawanna County residents equals to about 3.4 percent their income. Regardless of who wins, Weber is pessimistic. Hefty property taxes and skimpy Social Security increases are not the only concern for seniors. “Other issues they are faced with is their children leaving Scranton and after that the medical care and socialization,” said Michael Hanley, the Chief Executive Officer of United Neighborhood Centers of Northeastern Scranton. Hanley was also born and raised in Scranton and has devoted his career to the community. The aging population has led to an increasing demand for medical service jobs. According to the Bureau of Labor Statistics, the health care industry accounted for around 13.5 percent of the jobs in the Scranton—Wilkes-Barre—Hazleton area in September 2016. This included healthcare practitioners, healthcare support, and personal care and service. There are three hospitals within the Scranton city area, and a new medical institute – the Commonwealth Medical College – was also incorporated in 2008. Bob Durkin, the President of the Greater Scranton Chamber of Commerce, said healthcare in Scranton was a key area for future development. The Chamber of Commerce is also looking at internship and residency programs to attract more physicians and doctors to join the local community in Scranton. A search on Indeed.com, a job posting website, turned up more than 1,000 job vacancy ads related to medical or healthcare services in the area. In general, more than 4,500 job vacancies can also be found on indeed.com in Greater Scranton area. However the unemployment rate of Scranton still remained at 6.7 percent, 1.8 points higher than the national average. A major challenge facing the city’s stagnant population is the fact that young people tend to leave the city for better career opportunities. 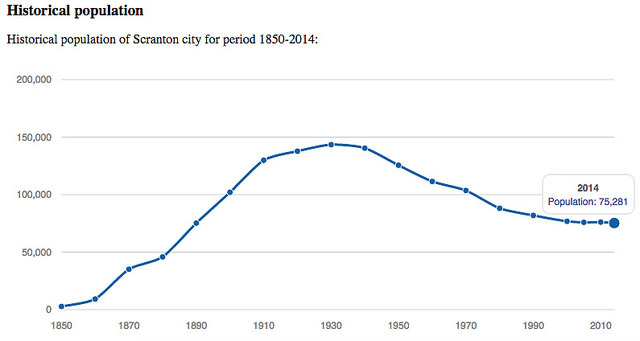 According to national census statistics, the population in Scranton currently is around 76,000, similar to what it was in 1890. It reached nearly 150,000 around 1930 but has been decreasing since then. Scranton is also close to major cities in the region such as New York City or Philadelphia, which makes it convenient for young people to work in larger cities while being able to visit their families frequently over a two-hour drive. 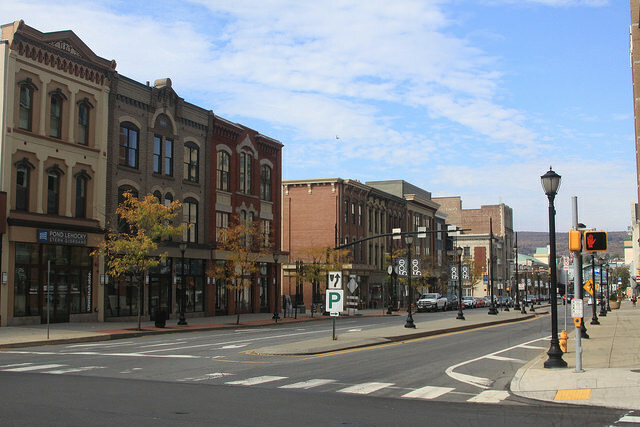 To retain the young generation of Scranton and to attract more, the Chamber of Commerce is revamping the city through revitalization programs, bringing empty buildings back to life for residents and small businesses. The United Neighborhood Center also has street programs that help organize community activities like a farmer’s market and support for residents wanting to start businesses. “What we’re looking for in the next eight years is more investment and financial resources. 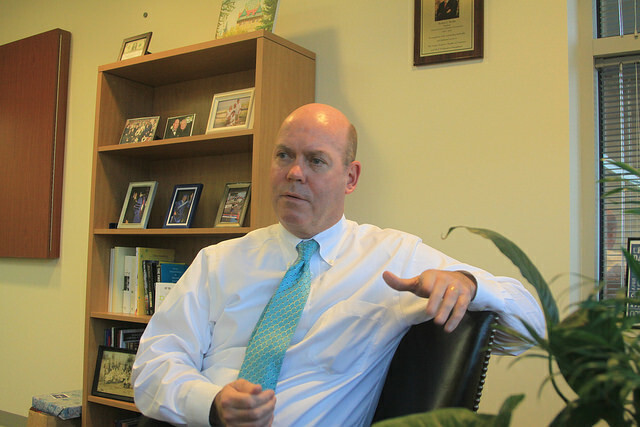 They are critical for the future development of Scranton,” said Hanley. What Scranton does have is a tight-knit community that helps each other out. “We do have civic pride here,” Hanley said. “Aging is a fact, but not a problem.” The United Neighborhood Centers is also organizing logistics to transport senior citizens on the election day. “It’s very important to have their voices heard,” he said.